Forget what you remember about your grandmother’s vinyl. Thanks to cutting-edge materials, contemporary designs, and advanced production techniques, the vinyl flooring of yesteryear has been replaced with a more resilient, healthier, and visually dynamic successor that is making a comeback in commercial and residential properties across the country. The resurgence of vinyl can be attributed to any number of factors, not the least of which being its (now) attention-grabbing visual appeal that is being consistently recognized by interior designers for its value and functionality. Yet while today’s vinyl flooring can replicate natural materials, it is still vinyl (but that’s a good thing). Floors laid with actual natural materials can be hard to maintain, whereas vinyl can be cleaned with a simple sweep and mop. 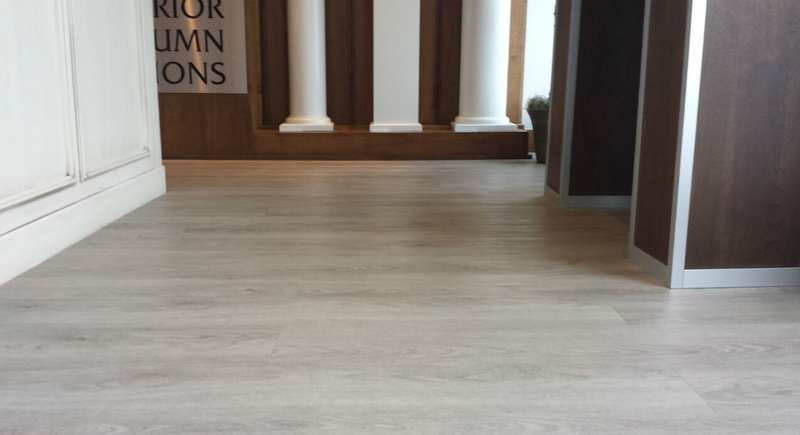 Installers and contractors are also drawn to the product since it is easy to put down without the hassle of the old style click systems; and designers are specifying vinyl planks as a “floor of choice” for many applications from dental offices to hotel rooms. What’s more, modern vinyl is manufactured to be water-resistant and resilient against scratches, stains, and scuffs that are typical in high-traffic areas such as lobbies, office floors, or hallways. “The thicker your top coating (wear-layer) is, the longer your floor will last; and with today’s vinyl planks and tiles, there are lots of options when it comes to that top coating,” explains Piazza. As an example, 4 Corner’s own Malibu series of luxury vinyl flooring is 40% thicker than other products in its category, making it far less susceptible to damage. 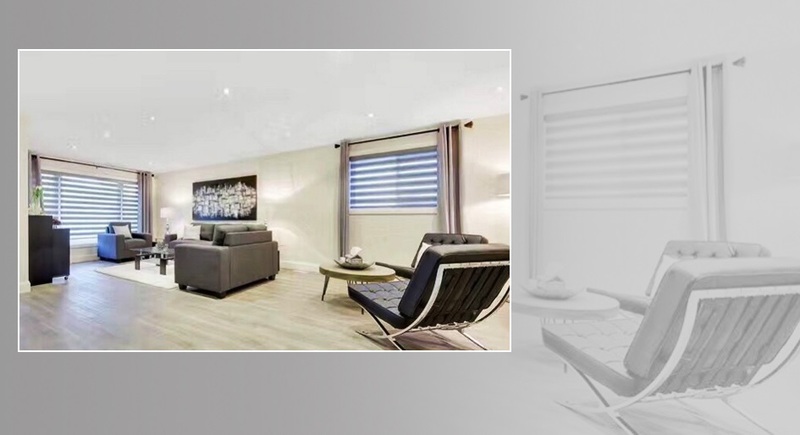 Other products, like its Luxury Vinyl Plank flooring, are formed with multiple layers of vinyl, fibreglass, and a soft backing, providing added protection and greater comfort for those who may be required to stand on it over long periods of time. Vinyl is also the healthier flooring alternative. Beyond its inherent slip-resistant qualities, many vinyl products feature a polyurethane antimicrobial top coating system that eliminates and destroys up to 99.9 per cent of all bacteria and dirt. This makes them an ideal choice for retirement villages, healthcare facilities, and hotels. Moreover, vinyl floors do not produce off-gassing when installed, making them a more eco-friendly option and – for property stakeholders – an ideal way to meet green building standards such as LEED. “The reason you find lifetime or 10 to 20-year warranties on vinyl flooring these days is because manufacturing standards have risen and these products are being made to withstand the test of time,” adds Piazza. For many commercial property managers and residential home owners, the vinyl revolution has already begun. This is especially true in western markets like British Columbia where it is becoming the preferred option. but they sure do contaminate the environment when produced and when discarded, especially if not recycled. Vinyl production and recycling will contaminate water, and therefore soil, plant, animals, us. So not exactly an “eco-friendly” option.